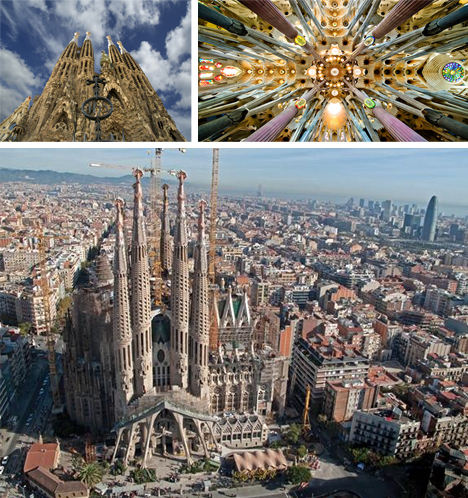 Started in 1882, the Sagrada Família basilica is one of the most famous buildings in the world, despite still remaining unfinished … at least for now. This amazing one-minute animation shows the final steps toward its near-future completion, officially slated for 2026. 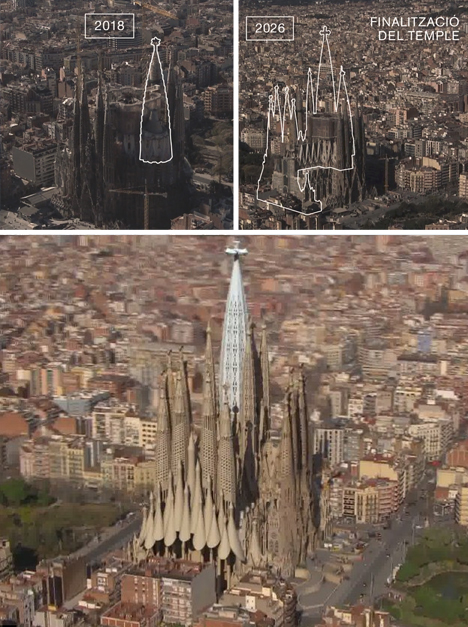 Designed by Antoni Gaudí and set in Barcelona, the structure has been in the works for generations, a process continued long after the death of its architect nearly 100 years ago. The animation itself features real aerial helicopter footage enhanced with dynamic digital modelling. The plan, in fact, is to celebrate its completion on that one-century anniversary of 1926. 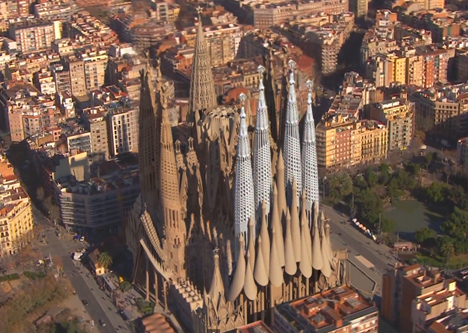 The project is scheduled to be finished under its new chief architect Jordi Faulí who is following in the plans and footsteps of Gaudí in finalizing this Gothic-inspired masterpiece.